You know how hard it is to find a 4 leaf clover? I feel that way towards pizza dough. It’s near impossible. For the last 5 years I’ve tried, probably close to 20 recipes. They were all fine. I mean in the end they were technically ‘pizza crusts’. 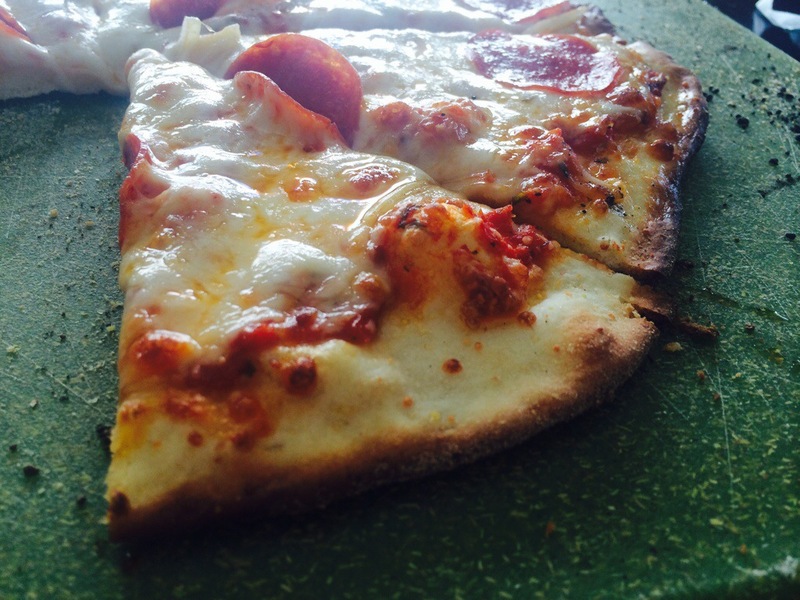 But this pizza crust…fantastico! 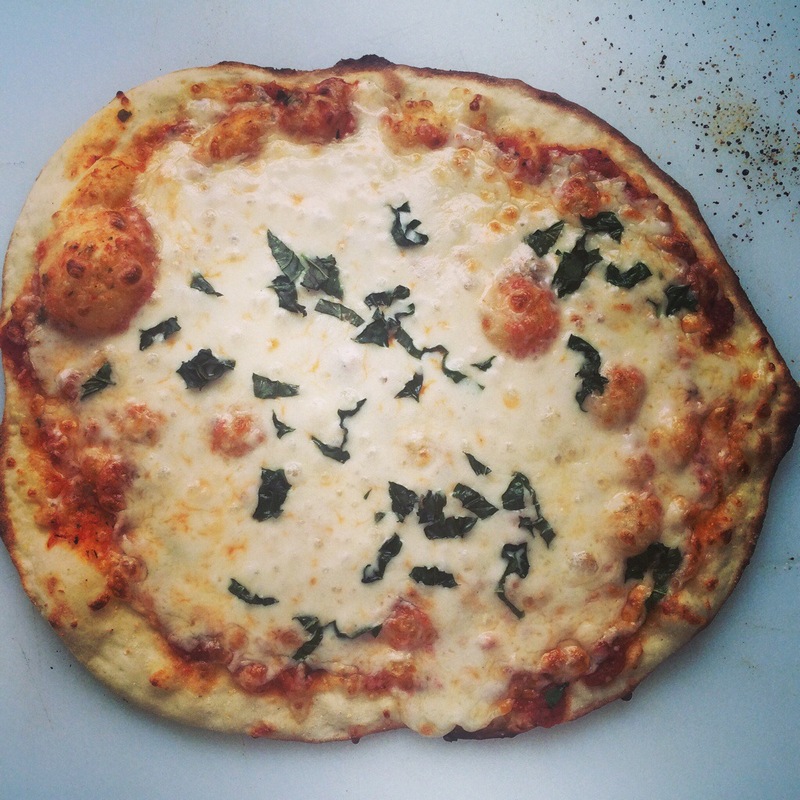 1) Using a pizza stone. Seriously, don’t forget the pizza stone. Pizza stone. Pizzzzzaaaa sttttoooonnneee. 2) Preheating your oven (and pizza stone) on the highest setting for at least an hour*. This will give you that nice crusty bottom but still a nice chewy bread. *Clothing optional, because your house will feel like a sauna. In a small bowl, whisk together the yeast, sugar and warm water and let stand until foamy, about 5 minutes. In the bowl of a food processor fitted with the dough blade, combine the cake flour, all-purpose flour and salt and pulse 3 or 4 times. Whisk 1 Tbs. of the olive oil into the yeast mixture. With the motor running, slowly add the yeast mixture to the flour mixture, allowing each addition to be absorbed before adding more. Pulse the machine 10 to 15 times to knead the dough. The dough should clean the insides of the bowl but will be slightly sticky. Coat the inside of a large bowl with the remaining 1 Tbs. oil. Dust your hands with flour and remove the dough from the food processor. Form the dough into a ball and place in the bowl. Cover the bowl tightly with plastic wrap and let the dough rise in a warm place until doubled in size, 1 to 1 1/2 hours. Divide the dough in half and roll out as directed in the pizza recipe. 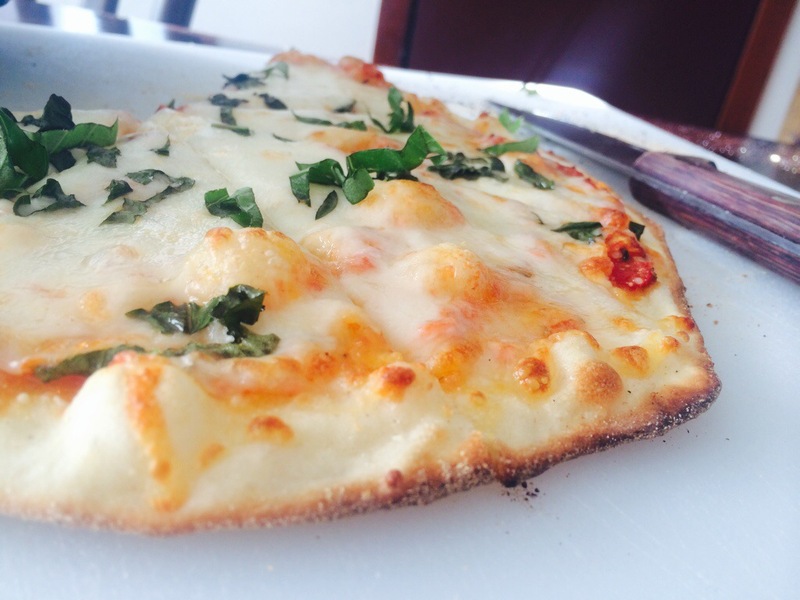 Makes two 10-inch thin-crust pizzas.